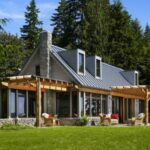 How to buy metal roofing, with in-depth consumer reports on metal roof materials and types, advantages and drawbacks to consider when buying metal roofs. This diagram shows how a metal roof is built, including battens used for attachment, solid foam insulation, the roof deck, and installation of a skylight and solar panel. 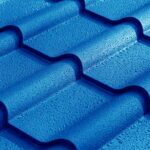 According to the National Roofing Contractors Association, the popularity of metal roofing products has increased dramatically over the past decade, a clear sign that homeowners and builders are growing more and more aware of this product’s benefits. Metal roofs are favored for their fire-resistant qualities, longevity, and speed of installation—in most cases, by a qualified metal roofing contractor. 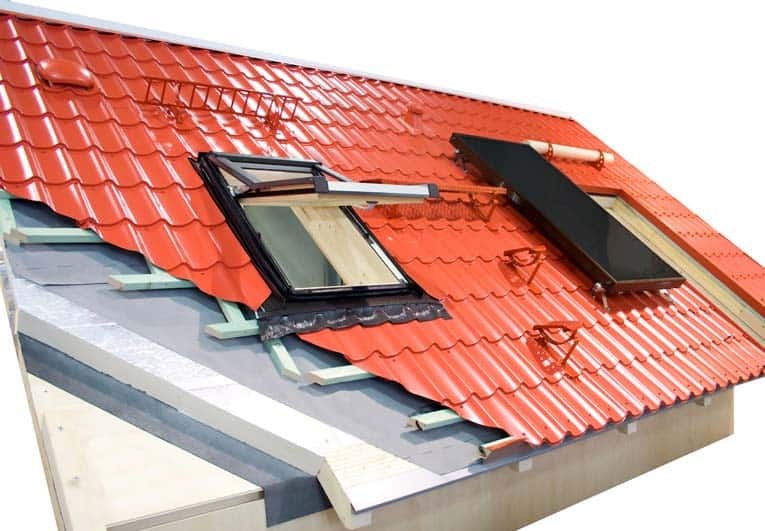 They are also surprisingly lightweight and are great at reflecting heat from the sun, a characteristic that helps homeowners save energy on cooling bills and may even qualify for tax credits. Of course, there are a few drawbacks, too. 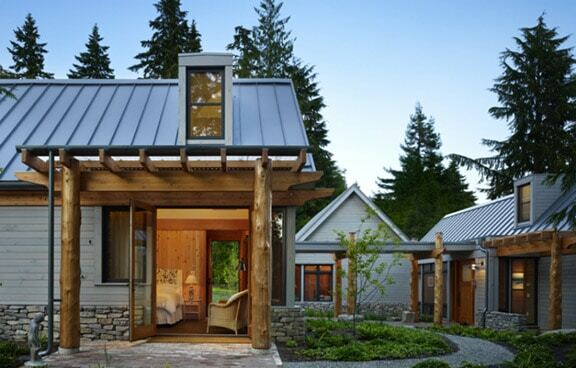 For more about these considerations, see Pros & Cons of Metal Roofing. 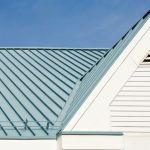 Metal roofing materials are made primarily from aluminum and steel, but other materials, such as copper and alloys, are also used but can be very expensive. Steel and aluminum are by far the most common and sensible of available roofing materials because they are economical, hold paint finishes well (steel can be galvanized), and are durable. Aluminum is a relatively soft metal, so it is more prone to denting and damage and it is also more expensive than steel. On the flip side, aluminum won’t corrode the way steel can if the finish is compromised. 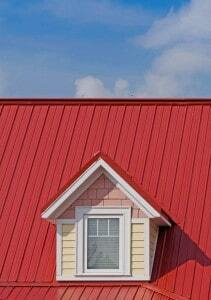 For more about materials, see Metal Roofing Materials. When considering a metal roof, you’ll first want to determine the fundamental look you want it to have. Residential metal roofing comes in two basic forms that are very different in appearance: sheet-like panels and shingles. Within these two categories, there are many variations, colors, and patterns…more about that later. 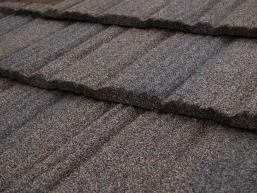 Metal panel roofing. The most familiar pattern of panel-style metal roofing, “standing-seam roofing,” has raised ribs every 6 or 12 inches and is applied vertically on a roof and doesn’t attempt to look like anything other than what it is: metal roofing. It has a decidedly commercial look that is favored by architects for its honest, clean, contemporary appearance; it is commonly used on homes ranging from mountain cabins to modern masterpieces but would look very out-of-place on a Colonial home.